1. Measure all ingredients prior to starting. 2. 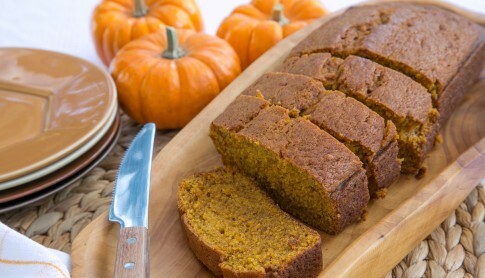 Add dry ingredients and softened butter to the pumpkin, milk and eggs. 3. Mix until well blended together. 4. Spread in well-greased loaf tin. 5. Bake in the oven at 250 degrees for 45-55 minutes or until done. 6. Place a butter knife into the centre to see if it comes out clean. Please note: If you choose to do pumpkin muffins they will cook faster.